If you thought time travelling is impossible, I got interesting news for you: it actually isn’t. Especially if you’ve lived in Bulgaria in the 90’s and take a trip to Nis in modern days. The best way to go there is to call Val & Kar right away and ask for a Dacia. Going to Nis, driving around several days and returning costed us 40 leva in petrol (that’s 20 euros). Don’t expect to find a particularly beautiful city. The most beautiful thing about Nis was the people there. Even though it is more than obviously a poor area, the people were helpful and kind. The market is a real gem! If you can go there shopping, don’t hesitate to do so! The market in Nis offers garden grown veggies, homemade cheeses (which are astonishingly delicious), eggs from the chickens, freely walking in the gardens of the people. I will get back to this later. The meat that Serbians cook is insanely good! We found a restaurant to which we returned several times and even consider driving there on a Sunday just for lunch. There are few historical sites worth paying a visit to, but be prepared for some dark history lessons which may leave you saddened. Driving from Sofia to Nis is an easy task and will soon be even easier as the highway that Serbians are building will be completed sometime in 2016. According to Google it takes 2,5 hours, but be prepared to spent another 30 minutes on the border. If you are not a driver, you can always take a bus there. It takes pretty much the same (though you may wait longer at the border). The company that goes there is called Matpu 96 and you can find them at the central bus station in Sofia. Busses leave at 7:30 and 4 o’clock every day and cost 24 leva each direction. I didn’t really have any expectations for Nis as I knew nothing about it and there aren’t many blog posts either (or at least I couldn’t find them). What I found out soon after we arrived there was that Nis is quite a poor city and just as with all poor places there is a lot of garbage on the streets, a handful of stray dogs and tons of demolished buildings. The truly shocking part of my experience was when I started looking at the people and realizing that despite of the obviously difficult life they are living, they are not sad or mean, nor looking miserable. Instead, the people of Nis are smiling and super polite everywhere you go, making you instantly fall in love with them. 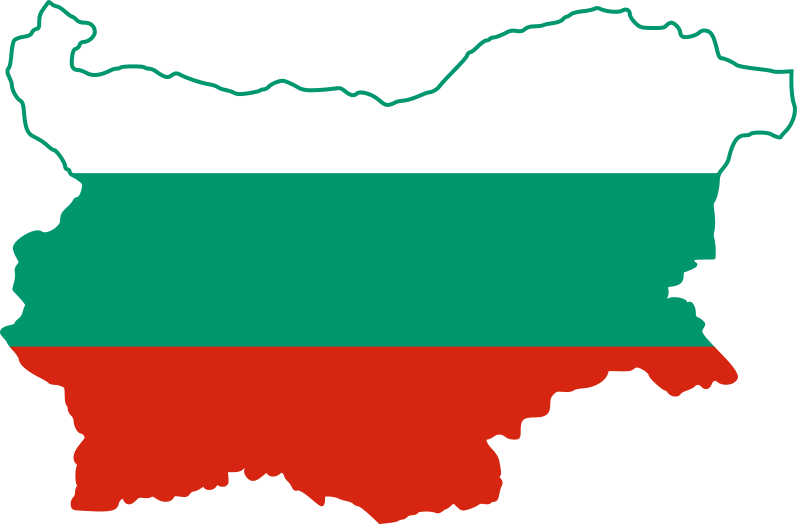 I never really enjoyed the idea of Bulgaria being in the EU and going to Nis reminded me why exactly I was against it. On the market I Nis you can find everything homemade starting from the veggies whose aroma you can sense miles away, through the spices, the home made cheese that tastes like real cheese and the eggs, sold by the old grandma. Sorry EU, but if you really want people to live a healthy lifestyle, you have got to back off a little with your gazillion ridiculous regulations. 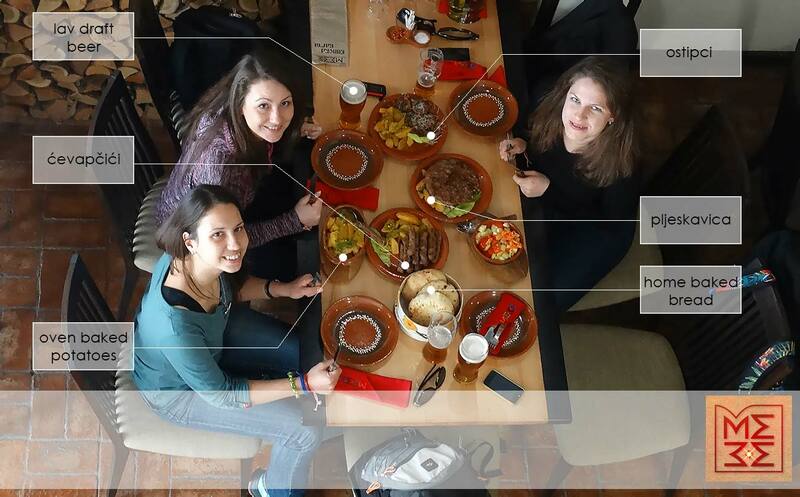 We went to Serbia with the clear intention of eating as much as we can. And so we did, and you know what – I finally satisfied my constant craving for delicious meat (sorry vegetarians, I really can’t help it). Mekike or burek for breakfast, pljeskavitsa & ostipci for lunch accompanied by their insanely good Lav beer: Nis was a real heaven for our senses and we can’t wait to go back to Serbia for some more of that! We even found the best restaurant we have recently been to – check this link for more about it. There are quite some historical sites in Nis but as with most poor cities only few are well preserved and open for tourists. While the fortress in the city is interesting we didn’t find it particularly informative (very few signs and not quite well preserved roman ruins). The Skull Tower, however, and the Nazi concentration camp were a completely different story and we highly recommend them. All in all, if you are wondering whether a trip to Nis is worth it, we say definitely yes. You won’t get stunned by the beauty of the city (as you might if you visit Ljubljana) but you will experience communicating with people who remain beautiful despite their struggles and you will have some incredibly good food! Which restaurant you went to again and again? how long did you spend there? 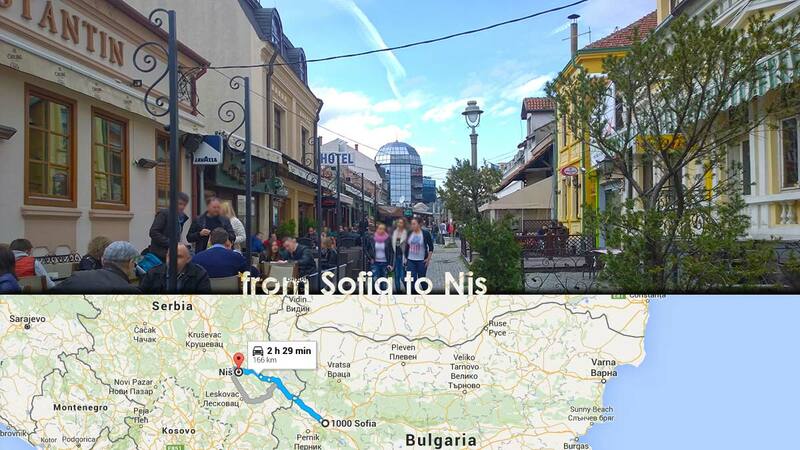 I am going to Sofia for the weekend but would love to spend a day in Nis, do you think that is a possibility? thanks! Hi Krista! If you have a car you can most certainly spend a day in Nis – it’s an easy drive and although it’s not a rich city it’s incredibly charming! Thanks for the info. Especially about the Lav beer and which bus to take.